Every once in a while, someone does something amazing and deserves to be recognized. 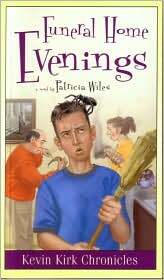 Today, that someone is Patricia Wiles, children's book author and Assistant Regional Advisor Chair for SCBWI. A few weeks ago I had the privilege of meeting Patricia at the SCBWI Midsouth Regional Conference. Prior to the event, she had sent a few friendly emails asking attendees for kid-lit book donations with the idea of passing them on to a few deserving schools after the conference. What started off as a donation basket quickly became a donation table, and then a donation room. 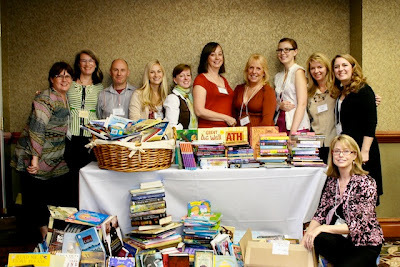 The table was overflowing by Sunday morning, with bags, boxes, and stacks of books! Everything from picture books to middle grade, young adult, and even some age-appropriate textbooks. Fiction. Non-fiction. Historical. Poetry. Practically every genre was represented. Even the faculty at the conference joined in, donating many of their newly released titles, some of them autographed by the author or illustrator. The SCBWI Midsouth Regional Conference faculty poses with the donation "basket." That was two weeks ago. 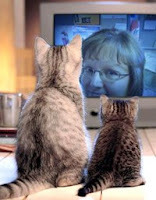 On Friday, October 8th, Patricia sent out an email to the SCBWI Midsouth mailing list. In it, she detailed the quantity of books donated, and briefly chronicled their delivery. Exactly 147 board and picture books were donated to a special ed class at the West Broadway Elementary School in Madisonville, Kentucky. The kids haven't had a chance to see the bounty of books that just arrived, but the teachers were ecstatic! Patricia mentioned that they are already planning lessons around many of the new picture books, and expressed their gratitude again and again. In Patricia's words, "it gets better." Over 400 middle grade and young adult books were then delivered to Alternate Day Treatment, a school for students who, for a variety of reasons, must be removed from traditional classroom settings. It was also a school with absolutely no library. These kids are stigmatized and abandoned. Their school is at the bottom of the list for funding. When Patricia started soliciting for donations from outside the SCBWI community, she was met with terrible replies like, "Those kids probably don't know how to read anyway," and, "They have computers. They don't need books." "The principal and counselor asked me to give a brief talk to the kids about where the books came from and the importance of reading. [...] When I finished, the principal invited the kids to come up and look through the books. "This was a wonderful moment. The kids swarmed the boxes! They picked up books and asked me about them. Some asked me if there were books by specific authors, [...] or if there were books in particular genres. "The principal made the comment that they were going to have to figure out how to get more bookshelves. They didn't have enough to hold all the books." Further demonstrating her resourcefulness, Patricia contacted the city, who was preparing for a surplus auction. Moved by Patricia's efforts, the mayor pledged that Alternate Day Treatment could have any of the bookshelves in the auction that they wanted. This is an example of people who, without any thought of personal gain, saw a need in the community and took action. It wasn't a PR stunt. Nobody's secretly getting rich. And there's no reality TV show waiting for the participants. Simply put, this was a genuine act of kindness. Giving credit where credit's due, dozens of compassionate souls had a hand in this extravaganza of literary charity. But I'm singling Patricia out for two reasons: First, she organized this drive; it was her effort and her open-heartedness that made it possible. Secondly, she chose the worthy organizations that benefited from these donations, and, in my opinion, she chose wisely. Not everyone can donate a truckload of books to a group of deserving kids. But you can do your part. Support people like Patricia. Buy one of her books! Better yet, buy two--one to keep, the other to donate to a local school or charity. Be a hero, and brighten a child's life.